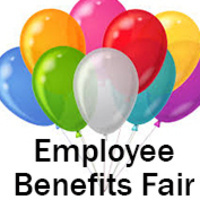 Be sure to attend your campus's benefit fair to get benefits questions answered straight from the vendors on the San Francisco Campus on Wednesday, Nov. 7, from 10 a.m. - 1 p.m. in Executive Conference Room 437. Employee Benefits Open Enrollment for 2018 begins Monday, Oct. 29, and ends Sunday, Nov. 18, for all three campuses. The San Francisco Human Resources office is open Monday– Friday 8:30 a.m.–5 p.m., and all employees are always welcome to stop by for all their open enrollment needs. Information packets with summaries, forms, rates and changes will be sent to your home address in early to mid-October so you will have plenty of time to review prior to Open Enrollment beginning.